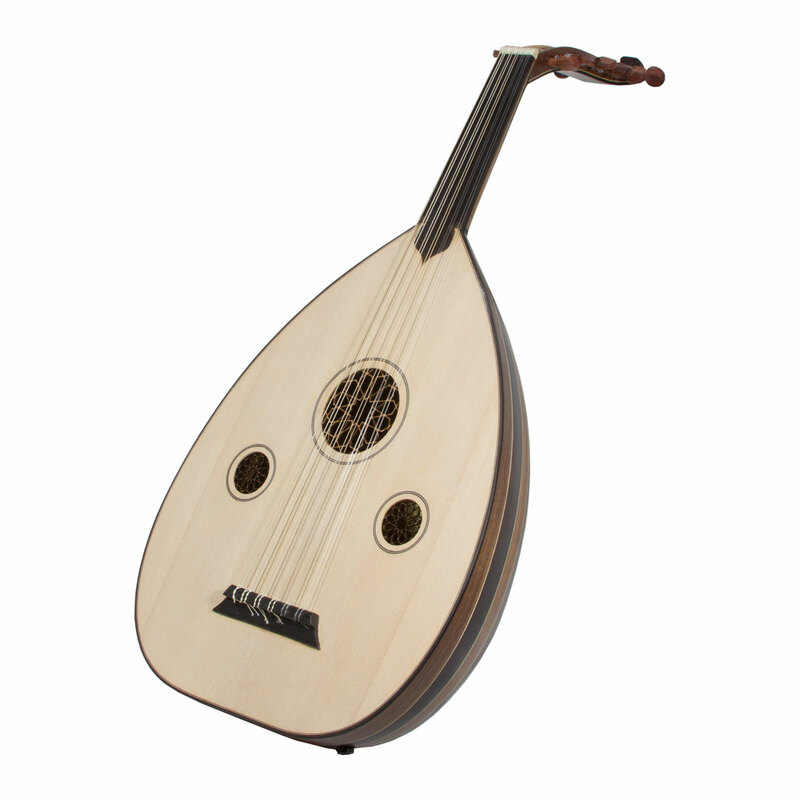 BLEMISHED: Turkish electric oud with classic tear drop shape and bowl bottom. The Turkish oud is played in traditional Turkish and Mediterranean music and is known for producing a powerful, resonating sound. This model features a black stained and mahogany wooden body and neck with a beautiful shiny finish. Soundboard: The sound board is spruce and has 3 round sound holes with a delicate rosette.